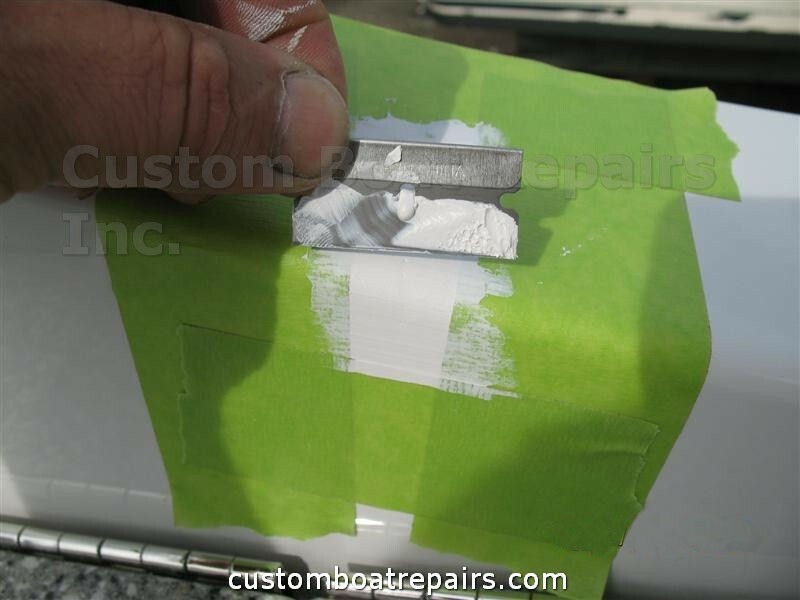 In this section, I'll show you how to inexpensively fill in those gel coat gouges on your boat, making it look gorgeous again. 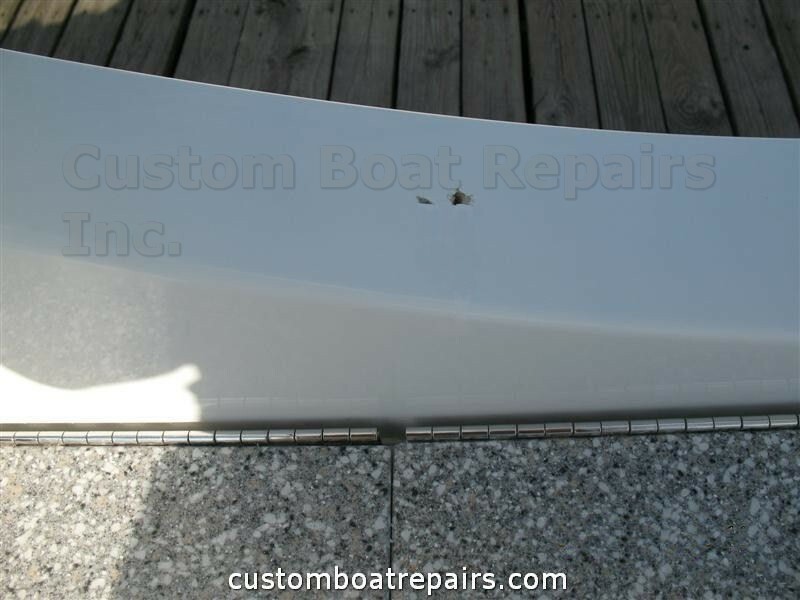 For boat owners, the difference in price can range up to $100 for materials, just to fill in a few spots with gel coat. 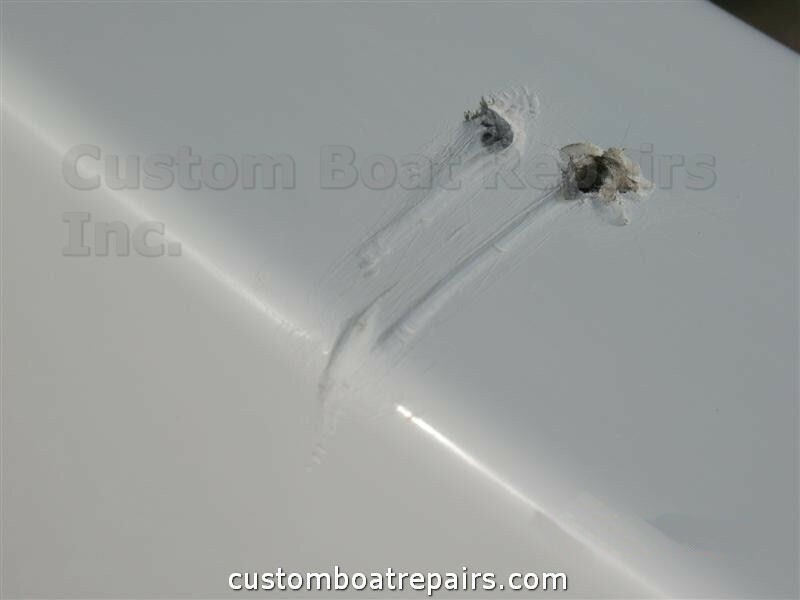 The difference being visible repair jobs, compared to an expert perfectionist (like me) performing the job, which can cost into the high hundreds -- but the repair will not be visible by using a professional spray technique. 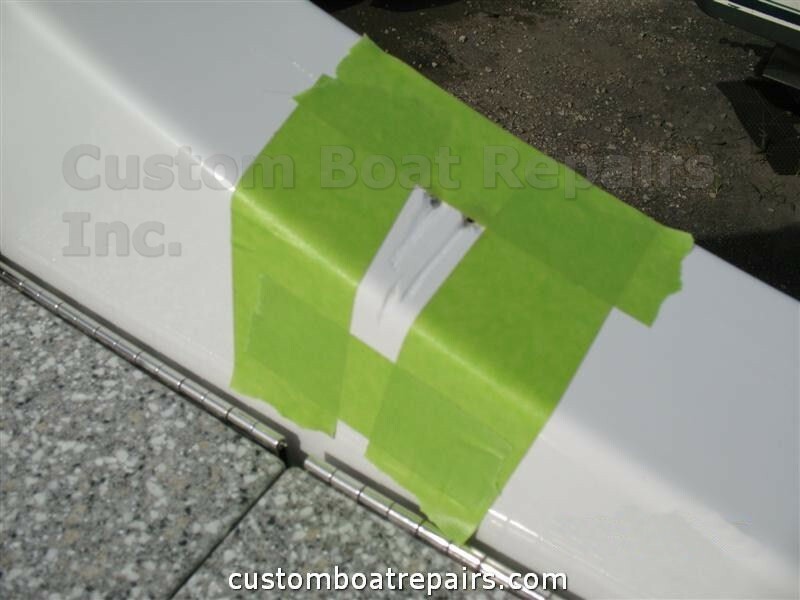 By following my directions, the not-so-fussy boat owners were all very satisfied with the work they did on their own, and pleased with the final result of their DIY gel coat gouge repairs. So now I'll show you -- step-by-step -- how you can save on this process by doing it yourself. 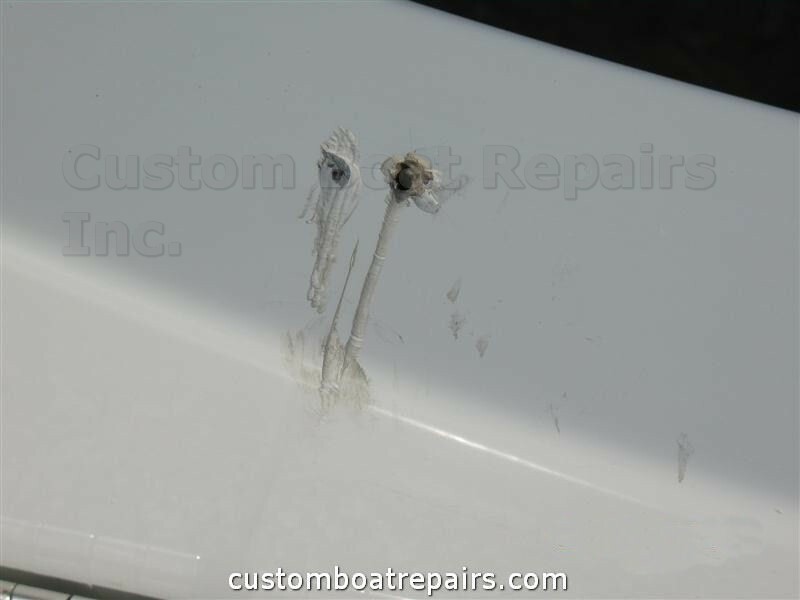 The boat in the photos had a side window frame that broke off from the hull, and a screw that had been lodged in the frame was gouging out the gel coat (the rest of the holes you see in the photo were for the new window frame.) 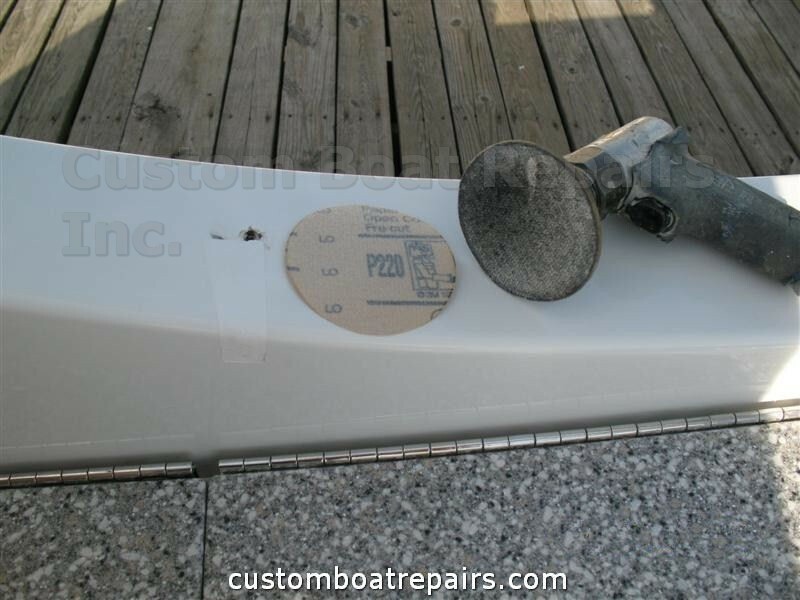 This boat belonged to a not-so-fussy boat owner, by the way. So this is a good example to show you the results of doing it yourself, by following my instructions. Warning: If you don't have the right tools, or the ability, then do not attempt this procedure. 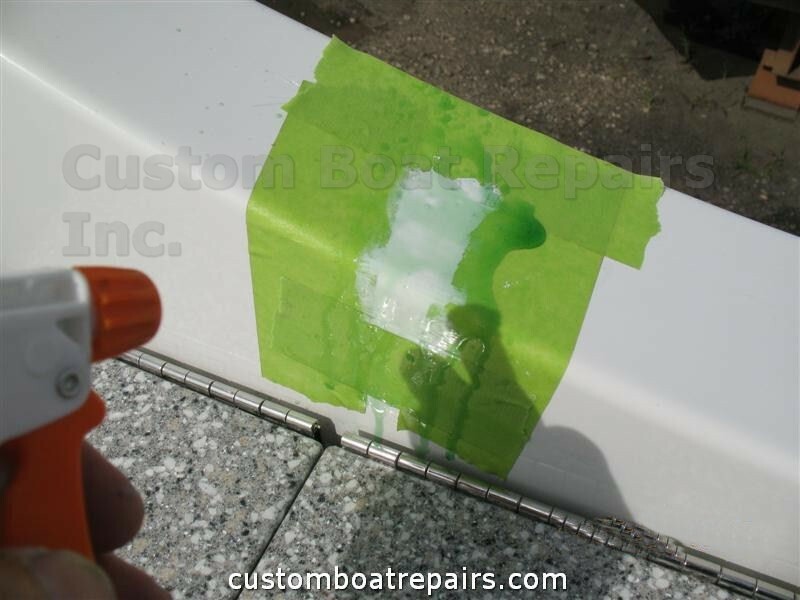 Do It Yourself Step-by-step Photo Guide: How to remove a gouge in Gel-Coat. In the lower left portion of this photo, you can see the gouges. Closeup of the gouges. 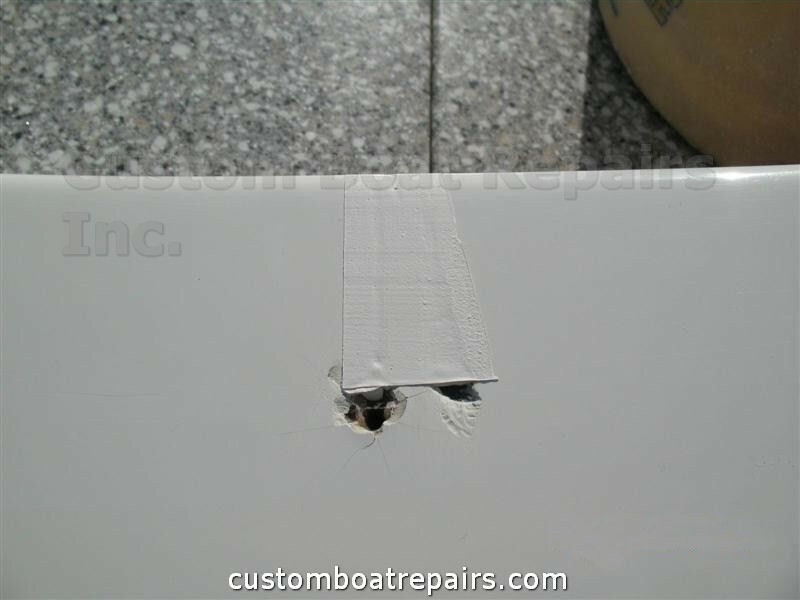 Just the gouges are being repaired -- the screw holes will remain. Using 80 grit paper, rough up the surface of the gouge, being careful to not to go beyond the gouge. 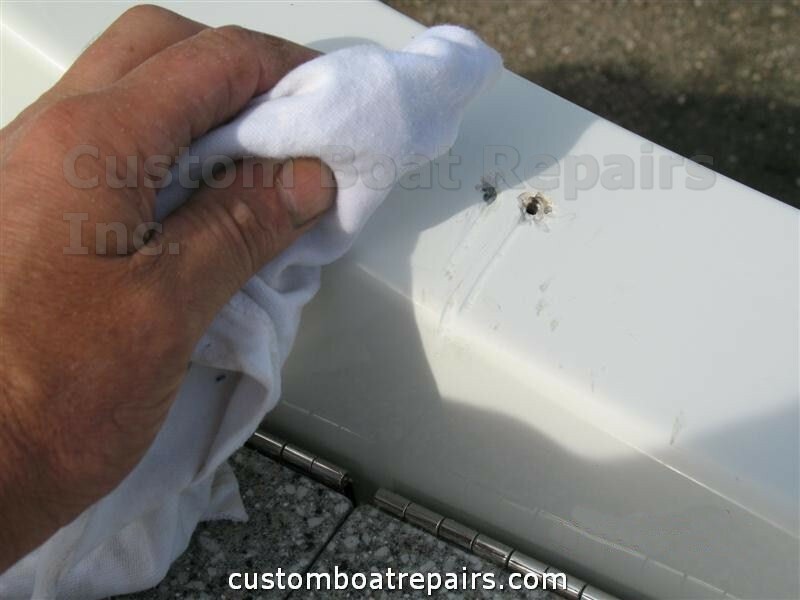 Wipe down the area with acetone, then clean it up. Notice how clean it is. There are no rough edges protruding around the gouge. 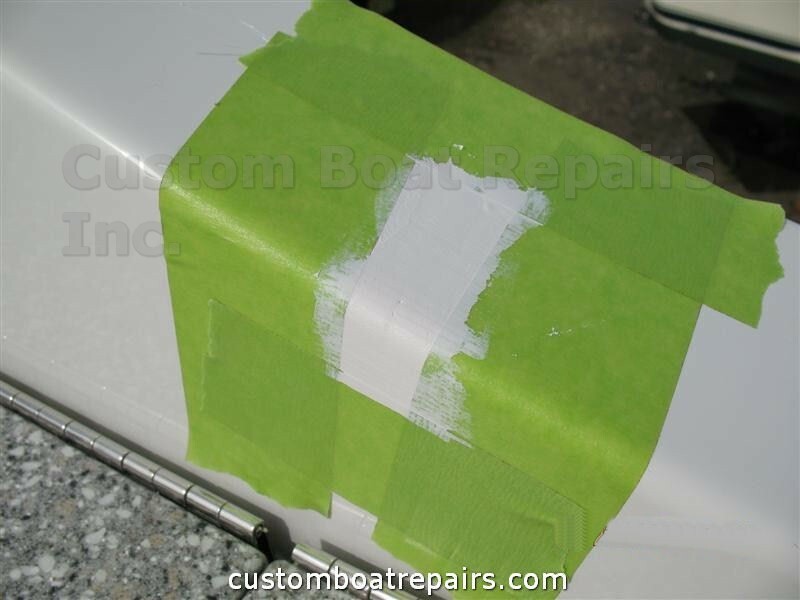 Outline the area with masking tape. Stay as close to the gouge as possible. Following the steps in my "Mixing Gel Coat Paste" tutorial, make a little gel coat paste. Mix it in a paper cup with a few drops of hardener -- be sure to mix it well. Then get a razor and spread it out over the gouge, letting the razor ride the surface of the tape. It should look smooth. Don't play around with it -- just go over it once or twice, then leave it alone. Now you have to spray PVA over the area so it will harden. PVA = Poly Vinyl Alcohol, and stops the atmosphere from attacking the gel coat. 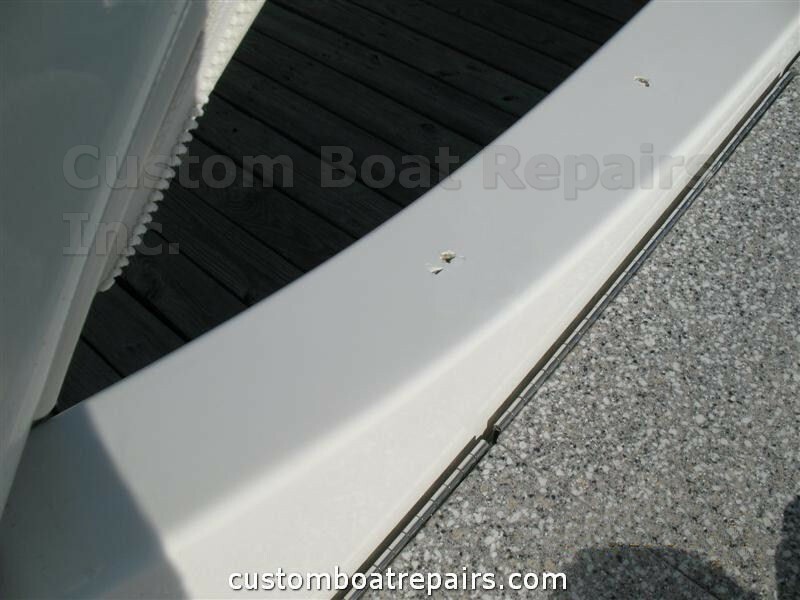 This product can be purchased online, or any at marine store. 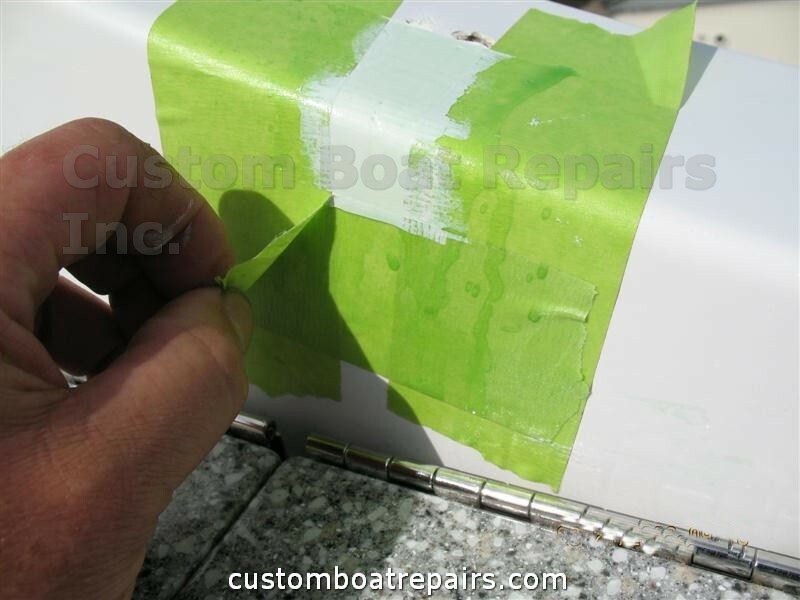 Right after you spray the PVA, take the tape off. Do not leave it on! 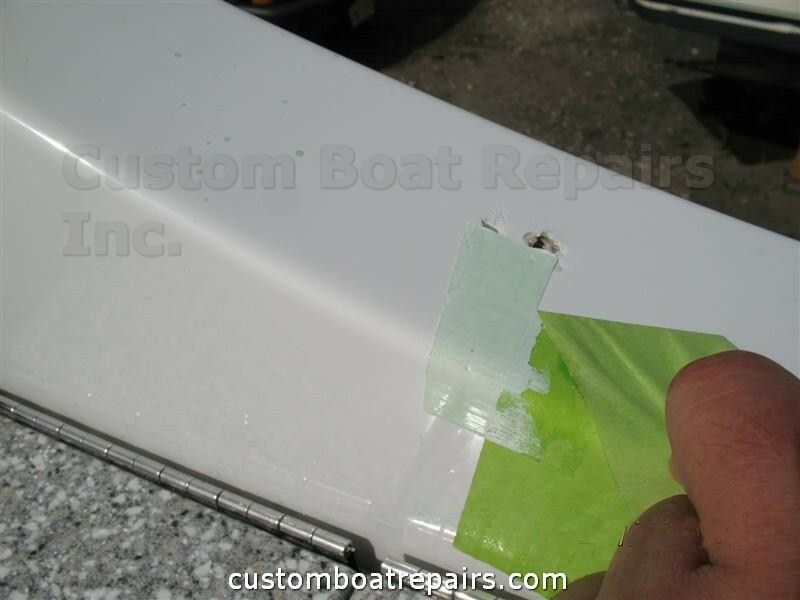 Carefully pull the tape off, without touching the gel coat. After letting it dry for 24 hours, wipe down the area with some water to remove the PVA. This is what it should look like. It should not be sticky. If it is sticky, you did something wrong. 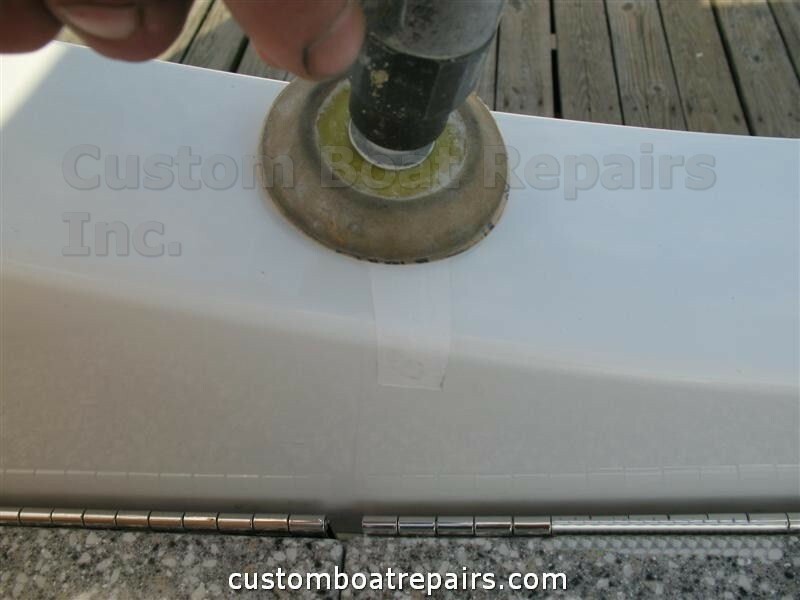 Use a sander to smooth down the repair area. I start with 220 grit, going up to 1000 grit. 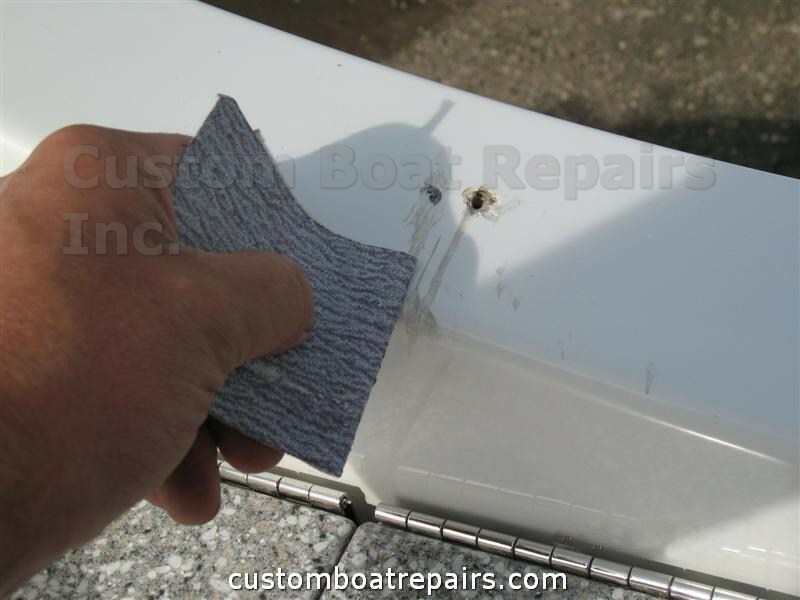 It's best to use an air sander, because it provides you with more control. (You can get an inexpensive air sander from Harbor Freight.) If you don't want to go that route, you can hand-block wet sand it, however I've never liked that method. Using just the edge of the sander, cut off the excess gel coat. 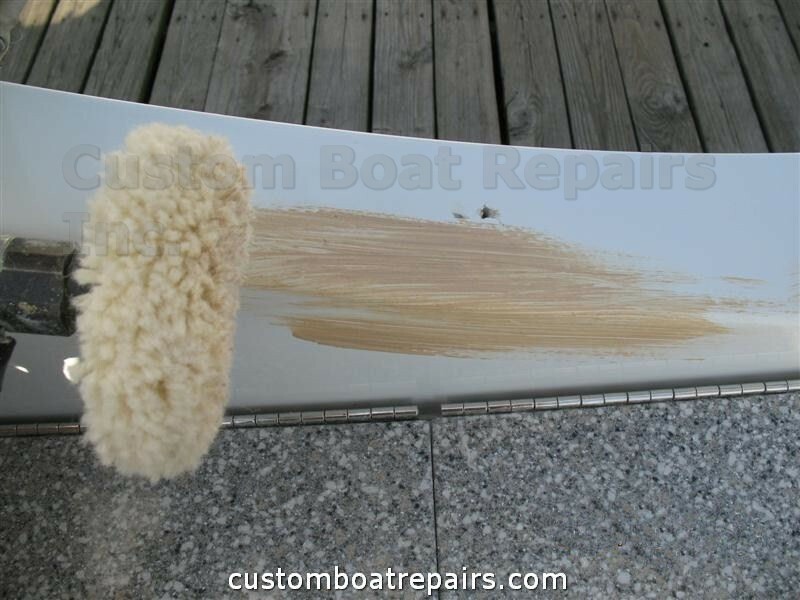 You do not want to touch the original gel coat finish, just the gel you put on the boat. That's why the air sander is best, because you'll be hitting all of the gel if you try to hand-sand it. 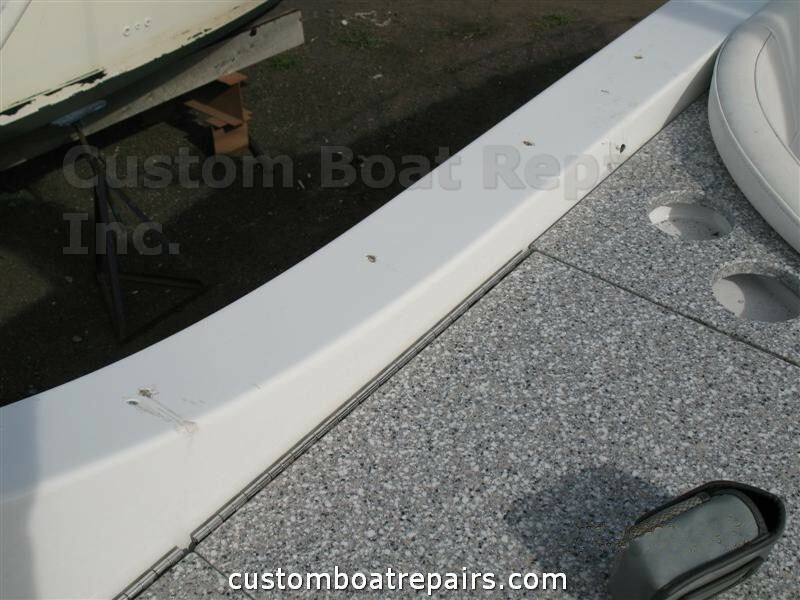 Now put compound on the repair area and buff it to a nice shine. Follow with wax. Gouges out, screw holes left in.